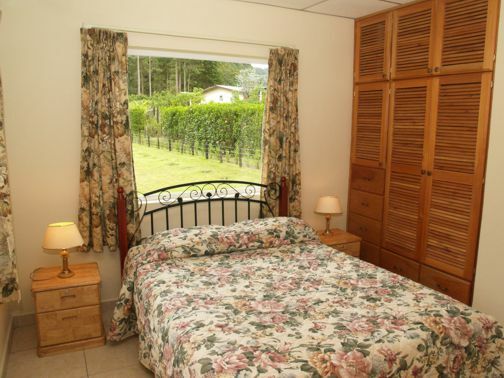 Panama Las Plumas holiday homes. 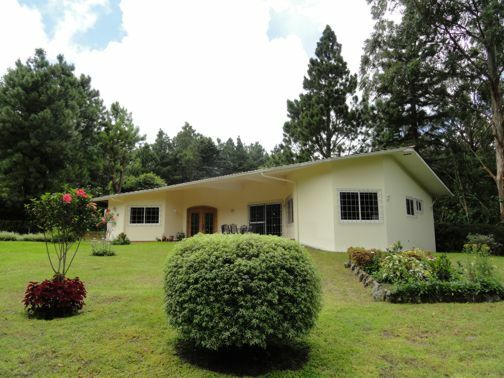 LAS PLUMAS HOLIDAY HOME RENTALS Paso Ancho, between Volcan and Cerro Punta, Chiriqui Highlands, Panama a most appealing alternative to Boquete, Chiriqui. 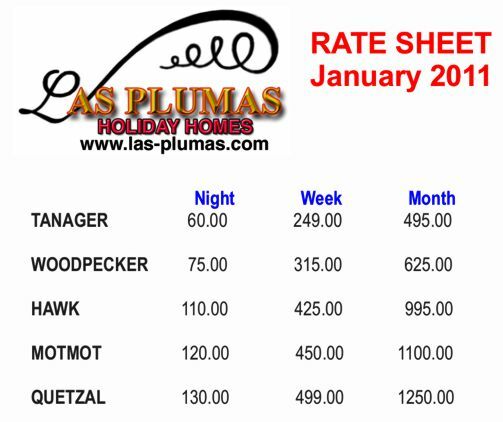 Las Plumas Holiday Home Rentals, quiet, beautiful, secure, comfortable and private self-catering holiday homes. 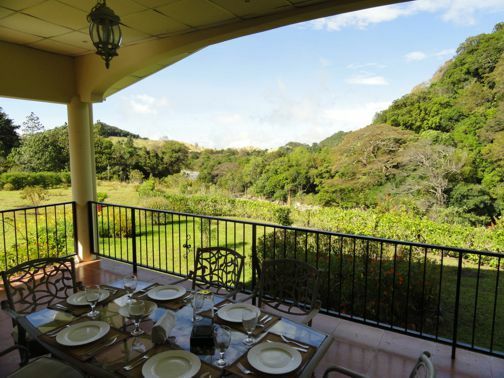 Which are nestled in the beauty of 6 acres (2.4 ha) of landscaped gardens, near the Hotel Bambito in Paso Ancho, Volcan, Panama. 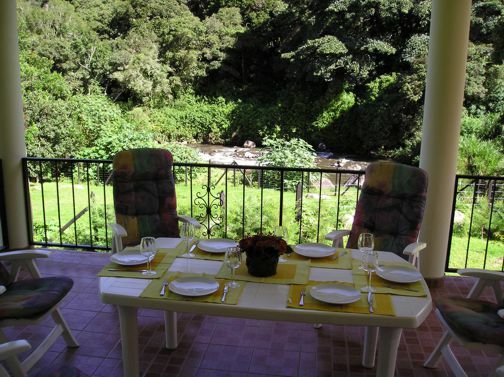 The gardens are bordering the Chiriqui Viejo River and are located in the foothills of the Volcan Baru. 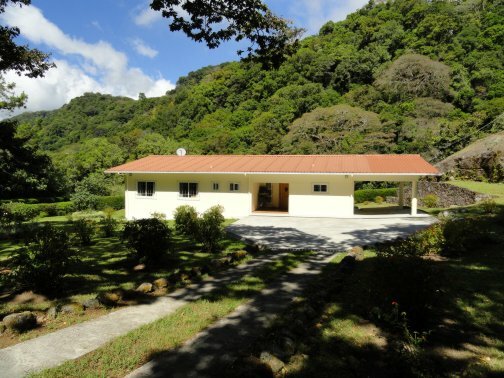 Paso Ancho is a perfect base for exploring the Chiriqui Highlands, e.g. the AMISTAD International Park, the 11,400 foot Volcan Baru(Panama's highest mountain) Finca Dracula Orchid Farm, One of the world's top ten orchid farms. Haras Cerro Punta Horse Farm Lagunas de Volcan, SITIO BARRILES, Pre Colombian archaeological site, (thought to be the oldest archeological site in Panama) and Boquete can be visited on a day trip. The Pacific beaches of Panama are less than an hour's drive away. 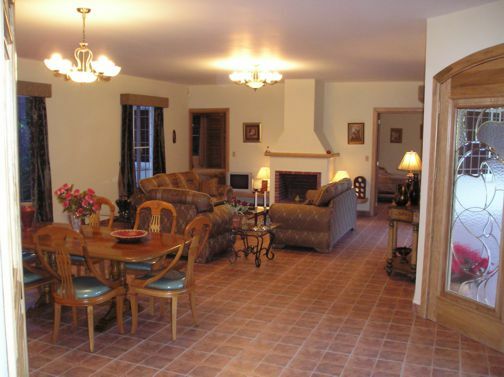 The homes are ideal for birders, hikers, writers, painters, snow birders or just relaxing holiday makers. The homes can be rented per day (minimal 3), per week, per month or for a longer period. References as well as bird lists are available upon request. 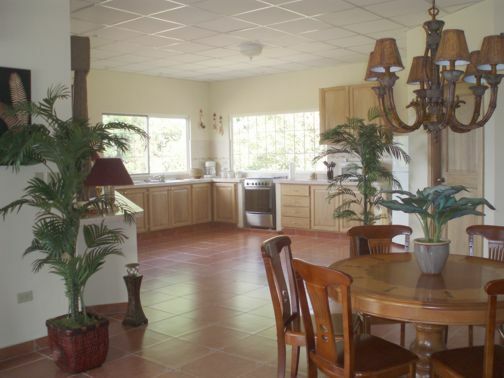 5 holiday home rentals are available. Luxurious, fully-furnished and equipped villa of 2400 square feet (220 m2) with large terrace and separate garage for 2 cars. 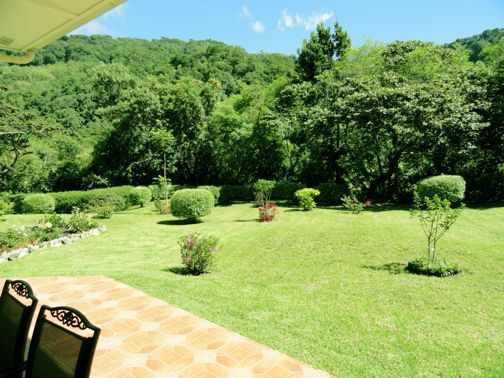 Located on private grounds of 1.1 acre (4400 m2) within principal property of 6 acres (2.4 ha) landscaped gardens. 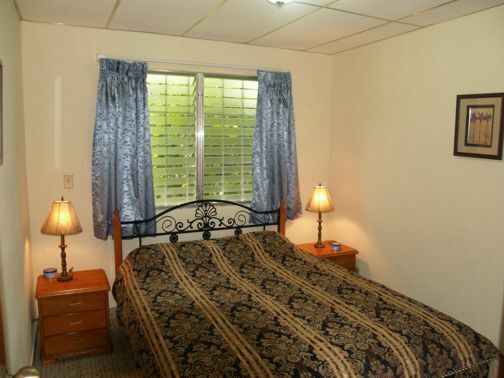 Self-catering facilities for 6 persons. Spacious and comfortable living room with open fireplace, large open kitchen, laundry room, 3 large bedrooms with queen-size beds with orthopaedic mattresses, including 2.5 bathrooms. The master bedroom has an own bathroom. 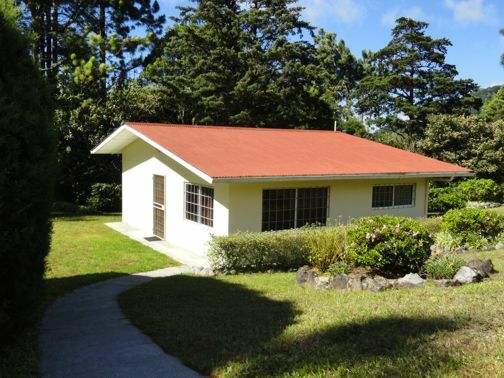 Fully-furnished and equipped home of 2500 square feet (230 m2) including carport and large terrace with direct view on the river Chiriqui Viejo. Located on private grounds of 1.7 acre (7000 m2) within principal property of 6 acres (2.4 ha) landscaped gardens. 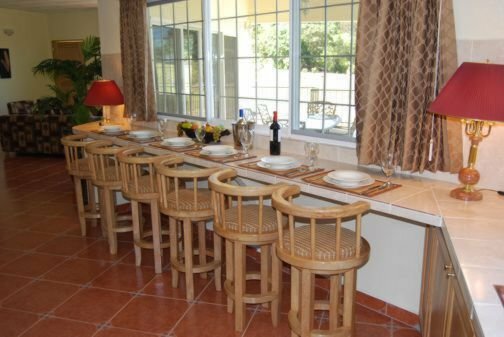 Self-catering facilities for 6 persons. Spacious and comfortable living room with large open kitchen, 3 large bedrooms with queen-size beds with orthopaedic mattresses, including 2 bathrooms. Mater bedroom has its own bathroom including a bathtub. 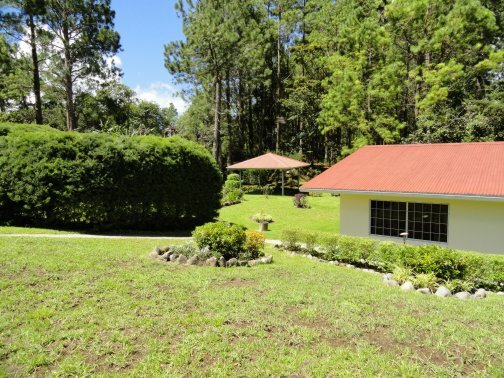 quiet and peaceful setting with comfort and total privacy with a spectacular panoramic view and the sound of the river Chiriqui Viejo. 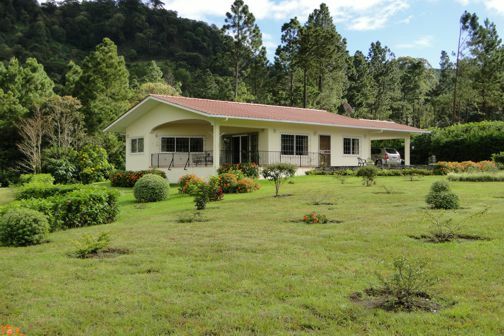 Fully-furnished and equipped home of 2000 square feet (185 m2) including carport and large terrace with panoramic view on the river Chiriqui Viejo. Located on private grounds of 0.5 acre (2000 m2) within principal property of 6 acres (2.4 ha) landscaped gardens. 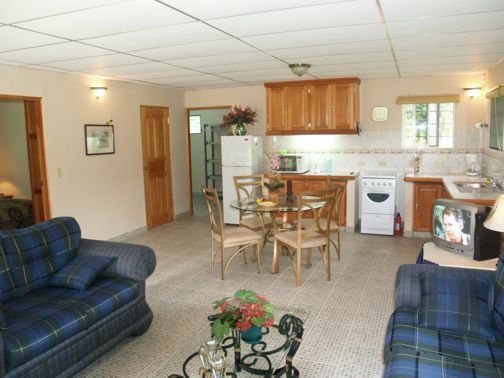 Self-catering facilities for 6 persons. Spacious and comfortable living room with large open kitchen, laundry room, 3 large bedrooms with queen-size beds with orthopaedic mattresses, including 1.5 bathrooms. 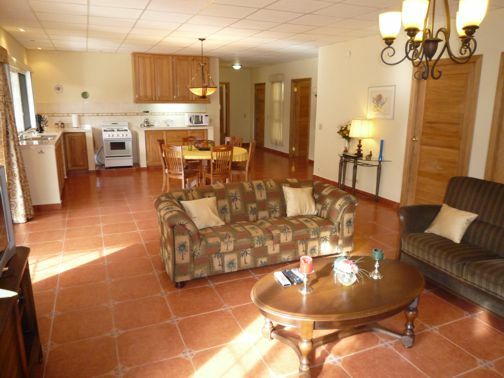 Fully-furnished and equipped home of 860 square feet (80 m2) including a casibo. Located on private grounds of 0.37 acres (1500 m2) within principal property of 6 acres (2.4 ha) landscaped gardens. 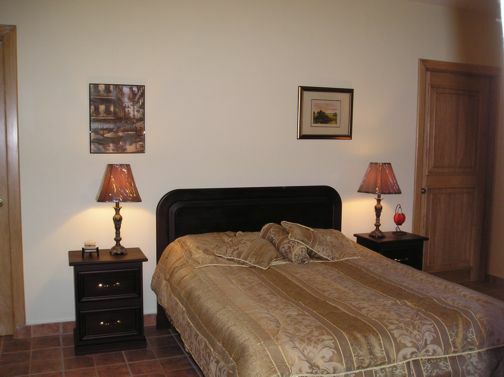 Self-catering facilities for 4 persons. Spacious and comfortable living room with open kitchen, 2 bedrooms with full-size beds with orthopaedic mattresses, including 1 bathroom. quiet and private but not isolated location. 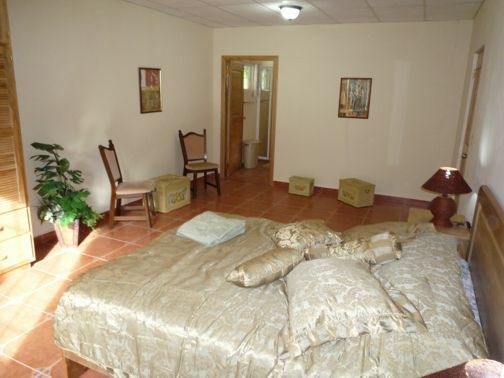 Fully-furnished and equipped home of 700 square feet (64 m2) including a terrace. 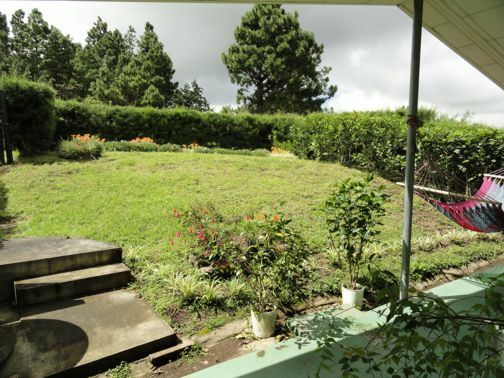 Located on principal property of 6 acres (2.4 ha) landscaped gardens. 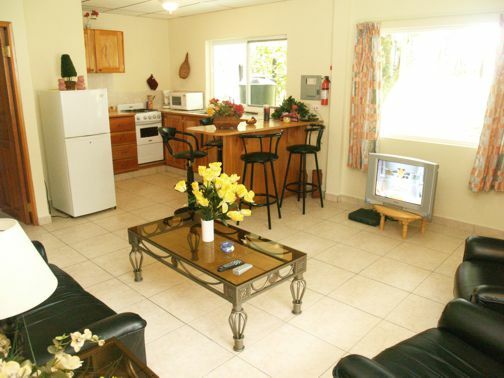 Self-catering facilities for 4 persons. Comfortable living room with open kitchen, 2 bedrooms, one with a full-size bed and the other with two twin beds all with orthopaedic mattresses, including 1 bathroom. 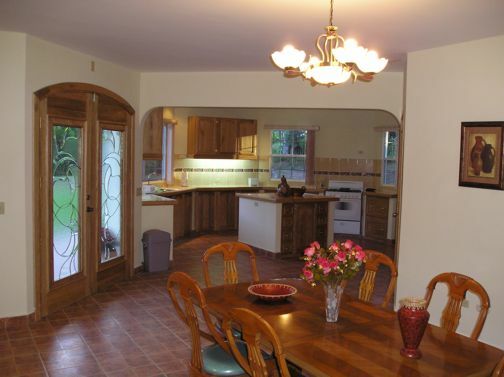 All kitchens including refrigerator, stove, microwave, coffee maker, toaster, pots, pans, silverware and dishes, etc. All homes have satellite TV. Internet connection and home cleaning services are available on request. 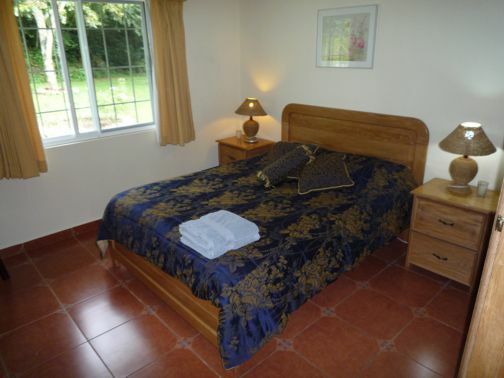 Bedrooms are including bed linen and towels. All homes have a washing / drying machine. Note: prices are in US$ and are discounted for Internet customers only. 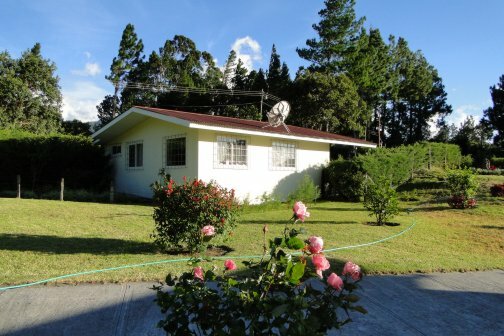 Las Plumas Holiday Home Rentals Volcan, Panama. Managed by: Dirk Albert de Veer and staff. why not see Panama at its BEST!